Many home owners believe in the myth that only light colors work for small rooms. They’re worried that going with their favorite shade will give the room the appearance of looking smaller. While this can happen, there are many factors that influence the final outcome of a room’s look. Going with a saturated color will not make the room look smaller if it is plastered on the wall’s of a room that has the factors listed below. If there is a lot of natural light in a room, the saturated color of the Valspar paint-can you’re handing the contractor might not be so dark after all. A bright, vivid red can pop in a room with large windows. Windows allow sun-rays to reflect off your wall. This can make any statement color vivid and exciting. Bright and dark colors work especially well in rooms with tall ceiling heights. Every room looks bigger when there’s a lot of space separating a person’s head from the ceiling fan. You can create an illusion of more height if you hang curtains that start at the ceiling and reach down to your windows. Rather then curtains that are simply placed over the windows. If you have a room with low ceilings and poor lighting, but want it to look large, you should go with a light, mute color. However, this does not mean your only options are white and beige. If you adore the color pink, you will be able to find a version of it that’s neutral and soft. The same goes for every color in existence. This even includes wild colors like orange and red. Vivid and bright colors are not always the right choice for rooms that are often occupied by family members and guests. For instance, a bright color in a bedroom can be overstimulating. However, these warm, deep and complex colors are perfect for a dinning room that’s used sparingly. During a dinner party, you want your guests to be stimulated and amused. Having a bright color can create a fun atmosphere. Choosing to go with a deep one can add comfort. Valspar is an excellent paint to go with for two reasons. If you are not satisfied with the color, they will replace it for free. 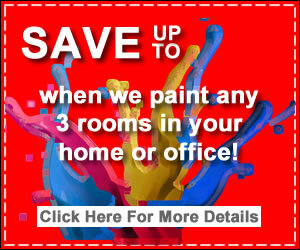 We’ve all bought paint that we thought looked great in the store, but didn’t in our living rooms. Second, Valspar has a large collection or colors and shades for you to choose from. Who doesn’t like variety? If you’re looking for more information about the satisfaction that’s guaranteed when you choose Valspar, this is an excellent website to go to. They explain, in full, how you get a replacement can when you’ve made a painting mistake. This website also has loads of excellent tips for painters to consider. Are You painting a large room? The end result will look great when you go with their advice.